I can honestly say I have never considered myself to be a brainiac but there is a 40 year psychological study that proves that chocolate can actually boost grey matter in our brain in fact making us more clever and smarter. The article I am referring to from The Independent, called “Chocolate makes you cleverer: A 40-year psychological study proves that the sweet treat can boost our grey matter” by Robert Ferdman. The research proves specific benefits. “In scientific terms, eating chocolate was significantly associated with superior “visual-spatial memory and [organisation], working memory, scanning and tracking, abstract reasoning and the mini-mental state examination.” But as Crichton explains, these functions translate to everyday tasks, “such as remembering a phone number, or your shopping list, or being able to do two things at once, like talking and driving at the same time”. or doing two things at once or enjoy the benefits of increasing blood flow to the brain. There does not seem to be much risk to eating chocolate except for the high calorie, high fat variety. Thanks to beyond Healthy Chocolate, you can have your chocolate and eat it too. 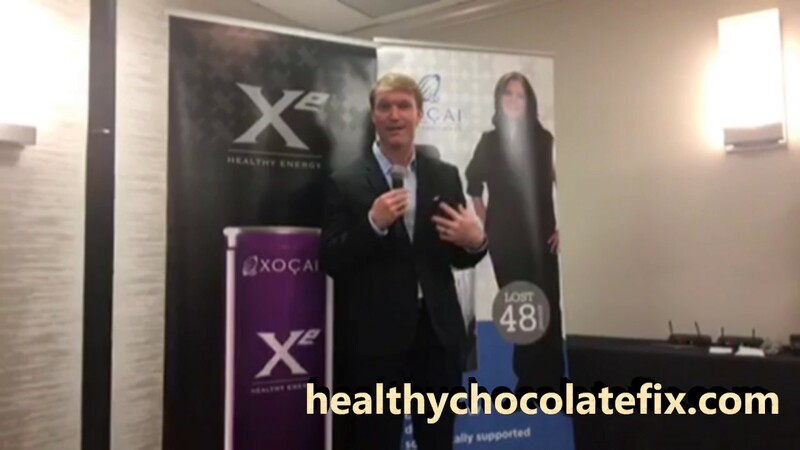 Most of beyond Healthy Chocolate’s individually wrapped 6 gram pieces are just 30 to 35 calories and offer significant antioxidant and flavonoids content. The Go Beyond products are ICT Certified and share the total ORAC6 and flavonoids score per piece. For example, the Xobiotic square, one of my top two favorites, has a total ORAC6 score of 40,446 per piece and 576 mg flavonoids per piece. When you compare that to anything on the market, you will be running to buy this product. There is just nothing like this! Try it for yourself for 30-60 days, and see what difference you notice. I tell my clients to keep a list of the benefits they notice. If they start having more energy, sleeping better, have less fatigue, less pain, keep track. We often forget how bad things are when we stop having the symptom. 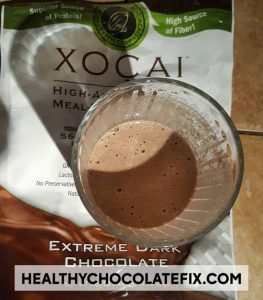 I highly recommend that you have 3-5 pieces a day, spaced out every 3-5 hours for the best benefit as antioxidants don’t stay in your body all day long and must be replenished. I start my day out with my Beyond beyond healthy chocolate protein shake. I mix mine with almond milk and ice. 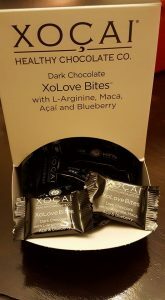 Then during the day I alternate with the Xobiotic chocolate because I need probiotic chocolate for my health issues and then Xo Love Bites for the rest of the day. For me, that is a perfect mix. Not sure which chocolate is the best for you? 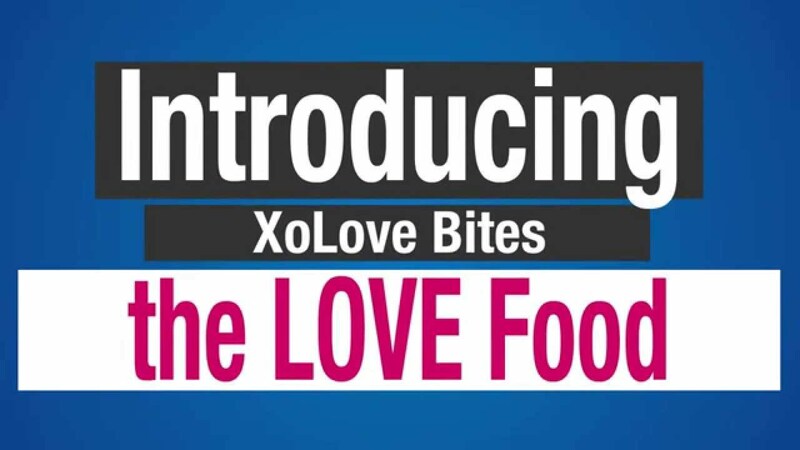 We can help you figure out which is the best option for you or you may prefer to start out with the beyond variety pack which gives you a small box of the beyond Nuggets, beyond Xobiotic Squares, beyond Xolove Bites and beyond xocai Power Squares. Today is the day to CHANGE YOUR CHOCOLATE!